I love your work and philosophy. I also love dogs and we always have a rescue one or two living with us! The unshakeable bond between humans and dogs is timeless and will always be the inspiration behind The Enlightened Hound. 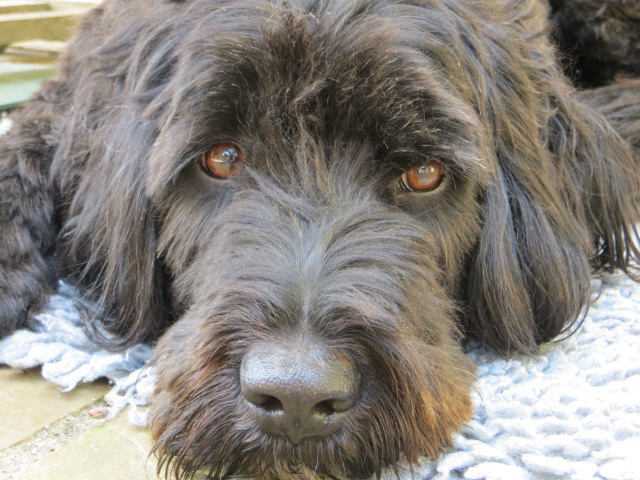 I was totally blindsided for the amazing bond that I would have with my dog, Figo, a Portuguese Water Dog. He is loyal, funny, uplifting, incredibly calming and very difficult to be anything but happy in his company. I do a lot of ‘dog watching”. Observing how they react and adapt to life in a human world is a constant source of interest to me. Purchasers of my work often contact me to tell me how much my prints mean to them and I love to hear such feedback and find it enormously motivating. People love to talk about their dogs and their stories are endlessly funny, heart-breaking, surprising, wonderful and moving. 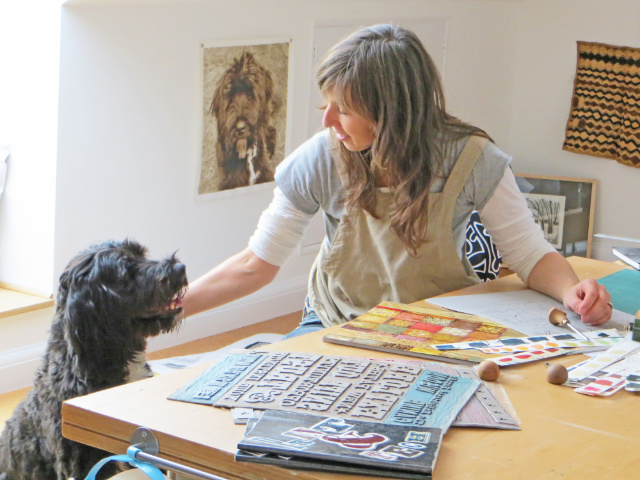 I am continually heartened, encouraged and honoured to produce work that dog lovers can identify with. Hand drawn letters are a constant feature of my work. Hand-lettering is the the art of drawing letters. No two letters will be the same, unlike a typeface where any given letter will always be identical. I am particularly inspired by the decorative American typefaces of the 18th and 19th centuries. I love the quirks and colloquialisms of the English language with its curious idioms and turns of phrase and enjoy finding ways that these can be incorporated into my prints. 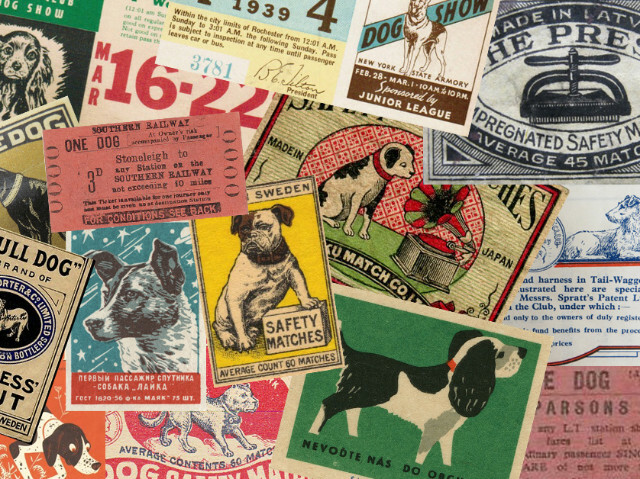 I am also influenced by my growing collection of ephemera ~ old labels, handbills, tickets, show posters, hand-painted signs and vintage packaging ~ designed and printed before the digital age. As a counterpoint to today’s fast paced, technological world, I like things that have been produced by hand, with simple tools or with the aid of vintage, clanking, cast iron, hand-operated machines. I celebrate the imperfect, the wonky lines and inherent character of the homespun.